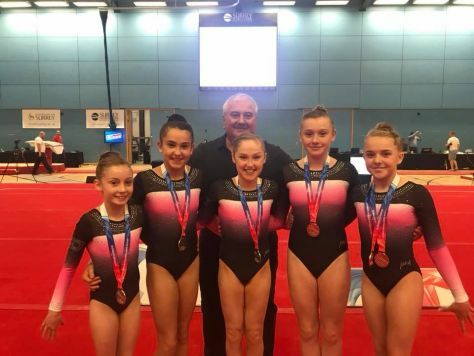 Isobel, Leah G, Mia, Lydia and Mercedes competed in the Junior Team Squad competition and had an excellent day coming away with the Silver Team Medal!! Leah G also had an amazing competition, smashing her routines and winning the Bronze Junior All Around Medal. Outstanding results for Team Pink after fantastic summer training.